Greece has overtaken Italy as the gateway for migrants trying to reach Europe. New numbers show that 68,000 people arrived by sea to Greece - 500 more than in Italy. The United Nations Refugee Agency says the increase in Greece could be due to new security walls being built on the Greek and Bulgarian borders with Turkey, which the UNHCR says is forcing migrants to embark on a more perilous sea journey. Meanwhile, an agreement reached by the European Council to relocate 40,000 asylum seekers, among European Union member states has failed to materialize. And tensions, according to Yves Pascouau, Director of migration and mobility policies at think tank European Policy Center, "are likely to rise even further as the arrival of asylum seekers and migrants on Europe's shores and in EU states will not stop overnight. "On the contrary, their numbers are expected to increase, so the issue will remain high on the agenda." Europe appears to be closing its borders — not opening them to share the sheer numbers of migrants arriving on its shores. France and Austria recently shut their borders with Italy, turning hundreds of migrants back. Denmark's right wing Danish People's party is demanding the re-erection of border controls. Hungary has started building a four-meter-high wire wall on its border with Serbia to stop asylum seekers crossing into the Eastern European country. According to Serbia's foreign minister Ivica Dacic, "We are absolutely and fiercely against Hungary's decision to build a fence." And the UK's reaction to the migrant crisis in Calais is to send two more miles of fencing to keep the asylum seekers away from British shores. The enforced border actions by many countries speak louder than words — more fence, fewer migrants. No compromise, despite the agreement made by the European Council to relocate 40,000 asylum seekers among EU member states. According to charity Medecins Sans Frontieres (MSF), the Mediterranean migrant crisis can be blamed on the European Union. Aurelie Ponthieu, migration adviser at MSF said: "The deteriorating situation is not due to unmanageable numbers of migrants and refugees. It is a direct result of chronic shortcomings in the EU's policies in handling new arrivals.Member states spend their time talking about closing borders, building fences, and issuing threatening ultimatums to each other." But the crisis isn't going away. 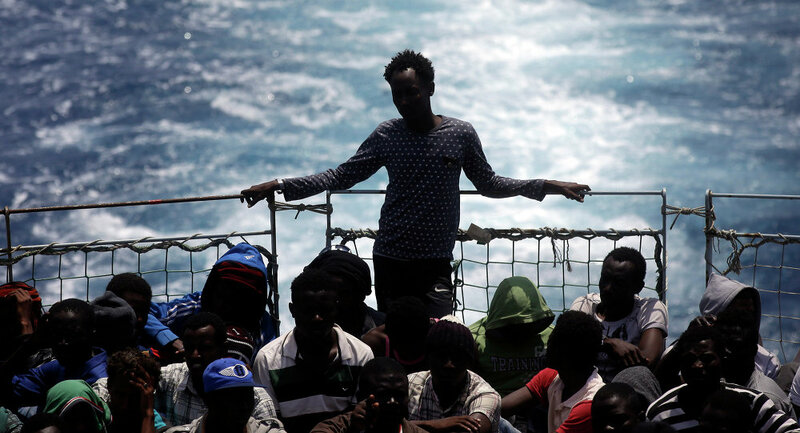 The UN Refugee Agency says the numbers of migrants crossing the Mediterranean Sea to Europe almost doubled from 74,850 last year — to 13,840 in 2015.